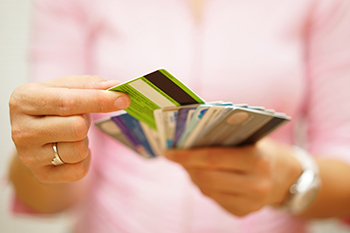 Should you go for special purpose credit cards? Banks nowadays offer special purpose credit cards that meet the specific needs of the customers. Some of the special purpose credit cards offered by the banks include travel, fuel, dining and shopping. anks nowadays offer special purpose credit cards that meet the specific needs of the customers. Some of the special purpose credit cards offered by the banks include travel, fuel, dining and shopping. These cards can be used only for the specified purpose, so their utility is limited for the specific usage. Let us look at what these cards entail and who should opt for these cards. Travel cards: These cards are suitable for those who travel quite a lot, especially by air. These cards offer rewards points and cashback every time the customer travels. Other benefits offered include air miles, discounts on travel bookings and privileged access to airport lounges. Apart from airlines, some of the cards may also offer benefits for travel by buses and railways. Some banks may have a tie-up with a specific carrier and offer cardsthat provide benefits only for travel with specific brands such as, say, Jet Airways. Fuel cards:Some banks offer fuel cardsin partnership with oil marketing companies such as HPCL, Indian Oil, etc. These cards offer rewards points every time a vehicle owner fills up the fuel tank with diesel or petrol. These reward points can be redeemed for fuel. Shopping cards: These are cards that reward you for shopping either at specified showrooms or any outlet of your choice. The cards offer discounts on specific brands or on all brands. Shopping at specified showrooms or buying specific brands can fetch you higher rewards points, but your choice gets restrictedfor specific outlets or brands. Banks offer cashback on the bills for rewards points earned on these cards. Dining cards: As the name suggests, these cards reward the customer for eating out. The cards offer discountsbetween from 20% and 25% on food and beverages. The advantage of these special purpose credit cards is that the reward points arehigher than that offered by all-purpose credit cards.